What's in a name? Sunshine city. Mandarin Chinese is a complicated language involving complex symbols and sentence structures very unlike those found in English. This may put you off even trying to learn the basis for Mandarin, and most people give up on reading or writing the characters and just stick to the odd important phrase if that. However, learning the characters in Mandarin can be one of the most interesting and rewarding aspects of learning Chinese – each character holding its own meaning and pronunciation, changing when compounded with others. Being able to read and recognize Yangshuo’s name in Chinese is one of the first things you should do before you come here. If anything, it’s just something good to know and it’s nice to have an interest in the place you’re visiting. But, there are practical reasons too, such as being able to point it out on a map or road signs should you ever have to. Mandarin uses individual characters as words with self-standing meanings. Characters can also be made up of lots of little characters. Usually, this isn’t randomly done – much like words and place names in English, often there is some kind of meaning or association with them. This character is ‘阳’ in simplified Chinese and ‘陽’ in traditional Chinese. In the simplified character, the ‘Yang’ character is made up of the radicals (individual character parts) meaning ‘Place’ and ‘Sun’. As a unit, ‘Yang’ means ‘Light/Sun’. The traditional character is made up of components meaning ‘Place’ and ‘To brighten, to open up, bright, glorious’. Interestingly enough, this ‘yang’ may be familiar with some in the form of ‘yin and yang’. 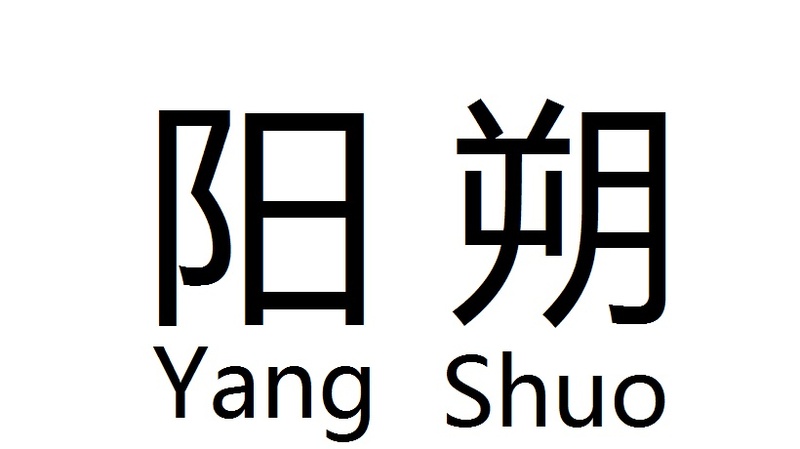 This character is 朔 in simplified and traditional Chinese, retaining its original stroke orders and meanings. It is made up of the interesting components ‘disobedient’, and ‘moon’. What you want to take from this meaning is up to you – but I can’t get it to relate back to Yangshuo’s characteristics too much – unlike ‘Yang’ and its meanings. Now, next time you’re enjoying a drink at DMZ with the local expats, you can either bore or impress them with this somewhat useful Yangshuo trivia. How about practicing writing it too for some extra bonus points?